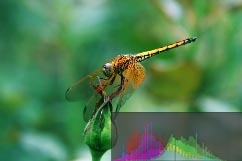 Curves - Global Edit - User Guide of PT Photo Editor - Easily rescue problem photos. Make every shot its best. 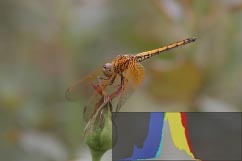 The Curves Tool is used to improve color tones in a photo by adjusting highlights, midtones, and shadows in each color channel. 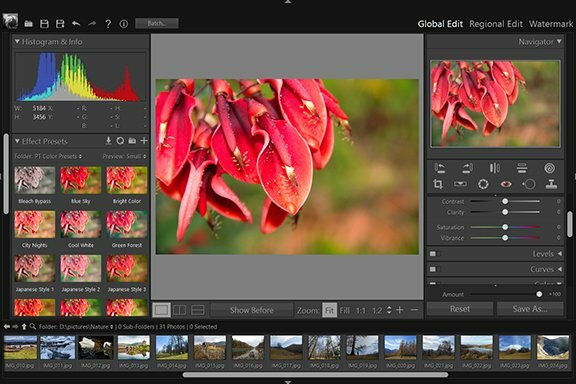 For example, this tool can fix photos with silhouetted images resulting from strong backlighting, or slightly washed-out objects that were too close to the camera’s flash. In the Curves adjustment, you adjust points throughout an image’s tonal range. 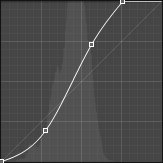 The graph in the Curves panel represents changes made to the tonal scale of a photo. The horizontal axis represents the original tone values (input values), with black on the left and progressively lighter values toward the right. 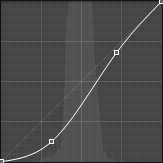 The vertical axis represents the changed tone values (output values), with black on the bottom and lighter values progressing to white at the top. Moving a point in the top portion of the curve adjusts the highlights. Moving a point in the center of the curve adjusts the midtones, and moving a point in the bottom section of the curve adjusts the shadows. To darken highlights, move a point near the top of the curve downward. Moving a point either down or to the right maps the Input value to a lower Output value, and the image darkens. To lighten the shadows, move a point near the bottom of the curve upward. Moving a point either up or to the left maps a lower Input value to a higher Output value and the image lightens. 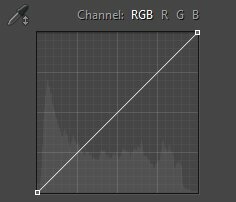 Choose the RGB Channel you want to adjust. You can edit all three channels at once, or choose to edit the Red, Green, or Blue channel individually. Click on the curve to add a point, drag up or down to adjust it. You can also use Curves Eyedropper to click on an area in the photo that you want to adjust, drag up or down to lighten or darken the values for all similar tones in the photo. To remove a point, drag the point to the graph outside.